Holidays in Pollensa offer a wealth of attractions – a beautiful town with restaurants, shops, bars, and pretty squares with a golden beach and emerald landscapes surrounding. Enveloped by mountains, the pretty bay area is protected from stronger winds, while out to sea there are plenty of opportunities to try windsurfing, sailing, and other wind sports. The town itself remains small and peaceful, with the excellent restaurants Majorca is known for, unencumbered by lively bars. Choose from two beaches, Pollensa Beach and Albercutx Beach, and choose from lively sands with lots of watersports and family friendly shallow waters that are perfect for your little ones. When it comes to food there are some excellent seafood restaurants, as well as fine dining options, and a bustling market, which comes to town on Wednesdays. The shops in the town offer boutique designer items and souvenirs, while there are pretty churches and a little square for visitors to explore. Luxury holidays in Pollensa offer visitors a choice of fantastic hotels to choose from, as well as gourmet cuisine, pretty little bars, and beautiful beaches. Formentor Hotel’s private beach is so beautiful it was the setting for Agatha Christie’s Problem at Pollensa Bay. Pay to spend the day here before enjoying 5-star cuisine at the hotel’s restaurant. Alternatively, Pollensa’s pretty marina is perfect for those wanting to take boat trips or simply watch the yachts before heading to the main square to wind down in the evening. At Sovereign we’ll help you find the right hotel for your luxury holidays in Pollensa. Each of our hotels has been carefully selected to ensure you get the most from your holidays, and our team of Trusted Advisers are experts who will get to know you before recommending the best choice. 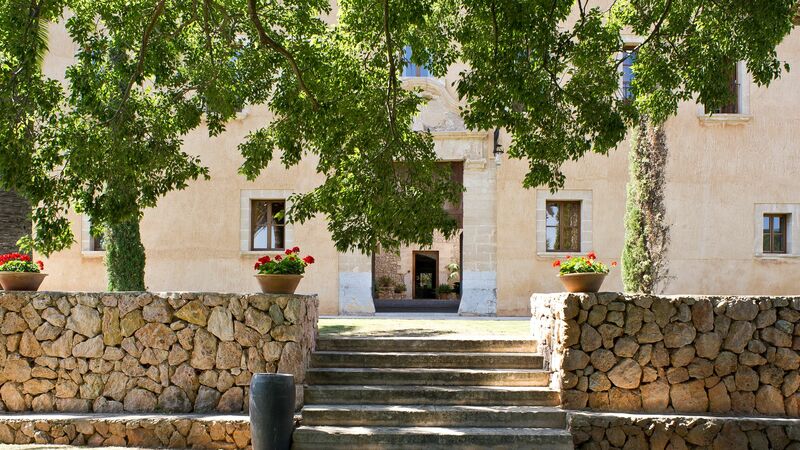 Book with us and stay at the Son Brull Hotel & Spa where you can enjoy excellent local produce in its restaurants, as well as an extensive spa with panoramic views, relaxing yoga classes, and bicycle rental for those wanting to explore. I love Pollensa's old town - it really encapsulates the beauty of 'old Majorca'. If you ever lose your way in the maze of cobbled streets, just head for the Santa Maria dels Angels Church in the central square. Don’t forget to go inside and take in the beauty of this truly spectacular building, with its wonderful decorated ceiling. Transfer time from Palma airport to Pollensa is approximately 45 minutes.